“Pension-led funding has been an excellent source of finance for our business, enabling us to fund Simpson Booth during a period of diversification." When the oil price collapsed practically overnight consumers and businesses alike were celebrating. Russell Stewart and Nina El-Imad were not among them. They had worked tirelessly to build a recruitment and HR consultancy businesses serving the oil and gas industry that was turning over £6 million within three years of inception. For many in the industry, recruitment stopped and the redundancy process started and Russell and Nina’s business, Simpson Booth, was caught up in the fallout from the oil price crash. Luckily for them, several strands of their business were robust enough to withstand the downturn; their outsourced recruitment model for clients was equally attractive in a down-market and they also offered wider HR services. They quickly set about diversifying their business, but recognised that such a step would require finance. “If we had been a recruitment business that was solely working on a contingent basis, it would have been even more difficult for us to continue through the downturn. We were reasonably well protected but still suffered from what happened to the industry,” said Nina. Nina was looking for ways in which this diversification could be suitably financed. Could Pension-led funding work for them and was it possible to finance against their intangible assets? “I was initially sceptical about whether it could really work – we had only been going for a short while, but the Pension-led funding profile fitted us quite well. We both had pensions that had accumulated following years of working for large corporates and were able to access that cash to enable us to support the business through the oil & gas downturn,” she said. 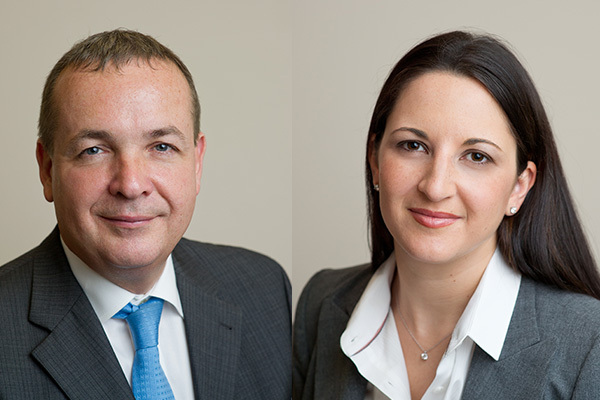 Nina and Russell have turned to their pension pots twice to inject finance into Simpson Booth, first with a loan back in 2015 secured against their trademark and database and more recently Nina’s pension was used to purchase preference shares in Simpson Booth. The finance has been used to invest in new sectors and markets, recruit senior staff and has helped Simpson Booth to build a much more stable business going forward. Having weathered the storm, Nina and Russell are planning for strong growth by building volume with a much more diversified portfolio of clients. They are due to complete the acquisition of an IT recruitment business on 1st February 2018, which will further strengthen their presence in that sector. Simpson Booth prides itself on understanding businesses and what they are looking for and with the help of Pension-led funding, Nina and Russell have transformed the company into one offering state-of-the-art recruitment and HR solutions across multiple sectors in the UK and overseas.